Nick Moloney | No rest for the wicked; sleep deprivation in extreme conditions. 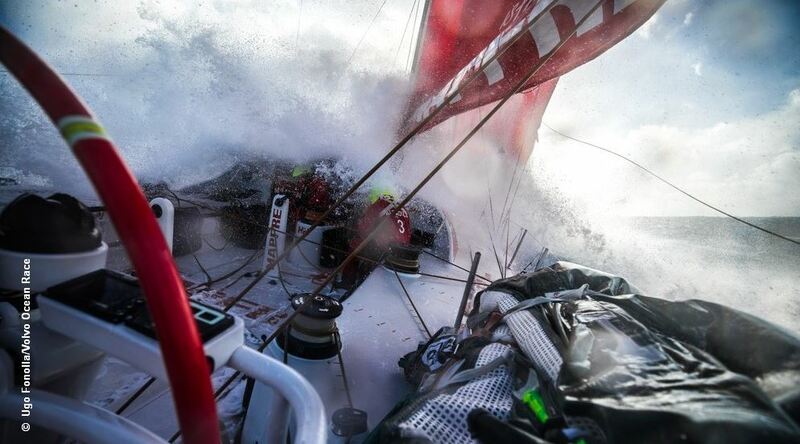 Home Volvo Ocean Race No rest for the wicked; sleep deprivation in extreme conditions. Sleep deprivation in extreme conditions in the world’s most remote oceans. 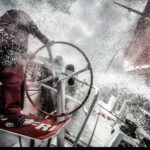 Right now, the majority of the Volvo Ocean Race fleet are in safe harbour in the port of Itajai Brazil after certainly one of the most gruelling Southern Pacific and Southern Atlantic Ocean passages in the 45 year history of the race. 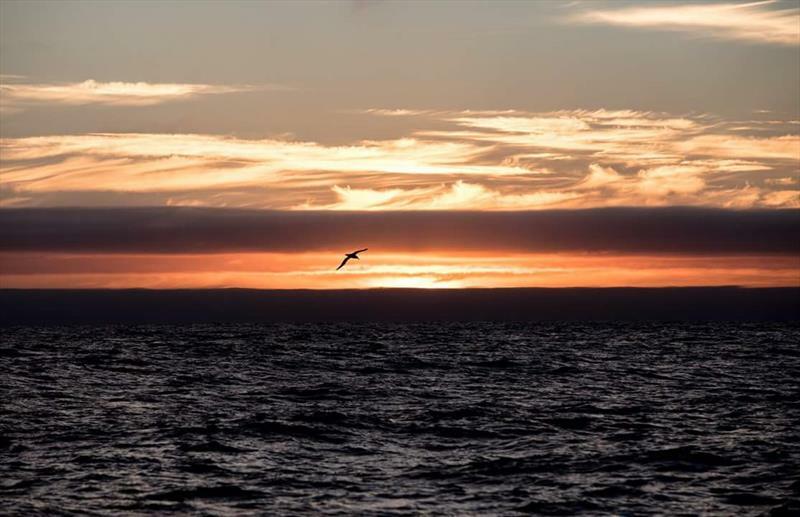 Leg 7 of this incredible sailing adventure sent a brave fleet of sailors to the bottom of the world, deep in the Pacific Southern Ocean where they experienced incredibly close and intense racing, bitter cold sea temperatures and sub zero wind chill while barrelling towards Cape Horn at incredible speeds. Enroute to Cape Horn the fleet lost a well-loved and highly respected comrade when John Fisher was sadly lost overboard in an accident that reminds us all of the reality of sailing in these waters*. The brutality of this ocean endurance race is clearly showing in the souls, voices and eyes of these incredible sailors. One of the strongest observations is simply how physically and emotionally demolished they are from dealing with relentless weather conditions and huge seas. They have been living in a permanently cold and wet environment, managing a cocktail of fear and adrenalin. The loss of a dear friend is a constant and daunting reminder of the possible consequences that face them all. Each day they have to execute manoeuvres that require enormous amounts of physical effort with very little chance or opportunity to properly rest. There is no eight hour sleep and a good meal to see them through. There is no time for a solid recovery. They move through each day on a broken resting rhythm within their watch system fuelled on a freeze-dried diet. 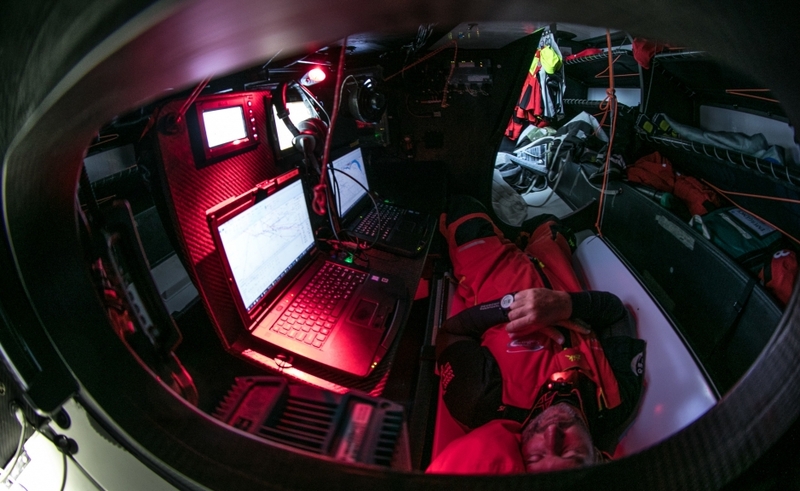 So how do sailors manage sleep in the world’s most gruelling offshore yacht race? For many in this fleet, coming to terms with the punishment that this race inflicts on even the most experienced veteran is an art of dealing with discomfort that can be partially relieved through a better understanding of our bodies, good equipment, planning and a little science. Hopefully some of the following insights will help not only sailors, but also any reader juggling the ever-growing demands of day-to-day life on land. Here are some insights and learnings that I have discovered or received in my time chasing new horizons in crazy craft with inspiring people on the most beautiful but unforgiving oceans. Let’s begin with the physical as it is the easiest to rectify and I shall write this article to sailors but the content and message is easily applicable to us all. We all have a responsibility to ourselves and those around us to be functioning well, and in order to function to the best of our ability we simply need to be rested and rejuvenated as much as any environment will permit. If you or one of your teammates is struggling from a genuine lack of sleep then protect each other; manage, hydrate, feed, rest and recover. You are a team, you are reliant on each individual for results and you are all intricate parts of a performance machine. This applies to business environments as well as friendships and your family unit. Look after each other and also allow yourself to be open to the protection and help of others. In a basic summary, it is simple: always be sure that you are maximising your rest, recovery and sleep! The mental effects of sleep deprivation are the most dangerous and disruptive to any individual or team in a performance or high-risk environment. There are several stages of mental fatigue, from just plain irritability or moodiness, to outright delusional. The latter is simply unacceptable in a team environment unless something catastrophic has happened. I have often heard sailors bragging about how little they slept during a yacht race. The reality is that, generally unbeknown to that person, they have most likely let their teammates down through their inability to perform, communicate and think at a level that provides the maximum positive contribution to overall performance. It takes a clear and fresh mind to perform well. As our conversation continued it became clear that the baby was in fact sleeping (or catnapping if you will) for more than 15 accumulated hours a day. I shared with her my written notes and thoughts on the techniques I use to catnap and in this case the results were positive. I have since also put these techniques to the test with my own two daughters and while this is not the complete answer for everyone, the art of catnapping should certainly help. Embracing this technique also means losing some aspects of normal day-to-day life and routine. As with many who are forced to fight for small windows of rest or sleep, our intrepid Volvo Ocean Race crews will become desperate and will need to place the highest priority on the single answer to performance and self-preservation… recover, rest, reset. Another part of the psychological battle is simply thinking that you have not had enough sleep when you actually have. When I am fighting for sleep and desperately looking for windows to rest or sleep in short bursts, I always log and monitor the minutes that I have rested or actually dozed off. Whilst solo racing over long distances I used electronic motion monitors to measure resting patterns and periods. Often I can get to the end of a 24 hour cycle to read my notes or assess the data, add up the minutes / hours, and realise that I have actually scored an acceptable amount of collective short bursts of sleep to warrant sufficient physical recovery. Just knowing this can change your thought process and make you feel better immediately. Adult humans usually sleep between six to nine hours a night. There are several stages of sleep and several incredible biological events occur during these stages. Deep sleep is the goal and during this period our body releases growth hormones which aid cellular repair and regeneration, immune function, bone density, connective tissue and muscle mass. It is also believed that the consolidation of memory takes place during REM sleep. Sleep is also fundamental to mending blood cells, repairing the daily wear and tear on the body and restoring efficiency of the brain. It is no secret that it is essential for our emotional and mental wellbeing. Research shows that if we are deprived of sleep for one night we usually make up almost all of the lost deep sleep on the following night. During periods of heavy interruption on board a yacht it is often a great challenge for sailors to get into the rhythm of life at sea. With the aid of a well thought out practical (and even scientific) watch system and the skill of falling to sleep quickly, the sailors can enter deeper sleep earlier in watches to maintain fair to good levels of recuperation. An understanding of individual cycles should always be considered in the development and execution of watch systems and the rotation of crew over a rolling 24-hour period. The ability for each individual crew member and collective team to find their recovery rhythm as early as possible after a new leg start leads to accelerated overall performance early in that leg. Good management and concentration on this is a pure performance gain. Turn the Tide on Plastic. 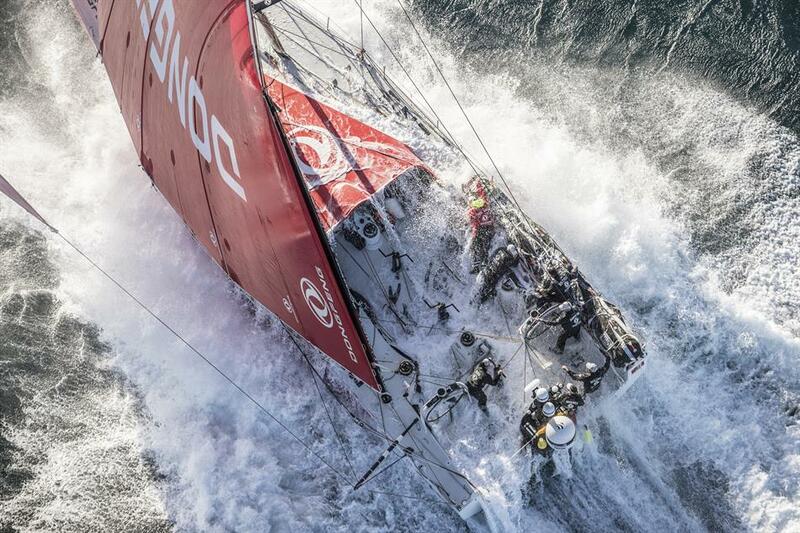 Photo by Jen Edney/Volvo Ocean Race. *(Note) It is not my position to make comment on the events that led to John Fisher being lost at sea and this article in no way makes any reference to this sad tragedy. The loss of John has broken hearts; his family, friends, crewmates, the extended Volvo Ocean Race fraternity as well as the broad sailing and general sports / adventure communities miss him dearly. Detail of the events that occurred can be found via www.volvooceanrace.com. John, you, will be forever missed but never forgotten and now sadly immortalised through the history of this race. Sail on ‘Fish’.